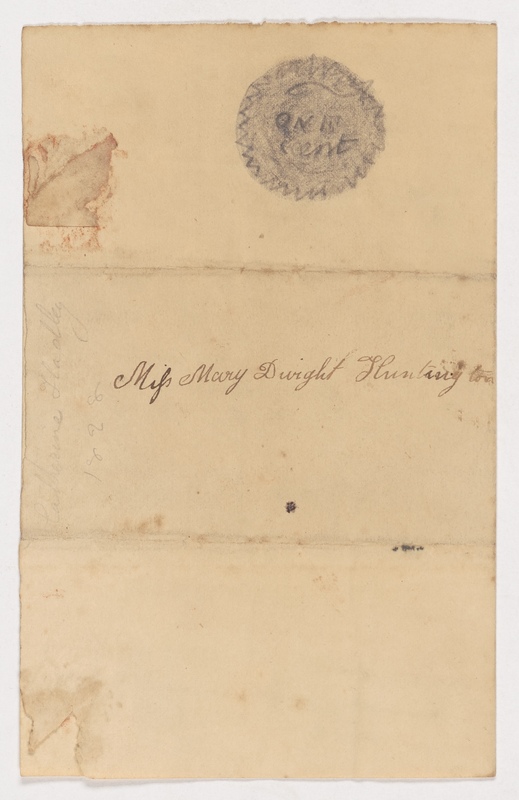 A folded piece of stationary with very formally addressed to Mary from Catherine noting that mother has approved inviting friends over to the house today. 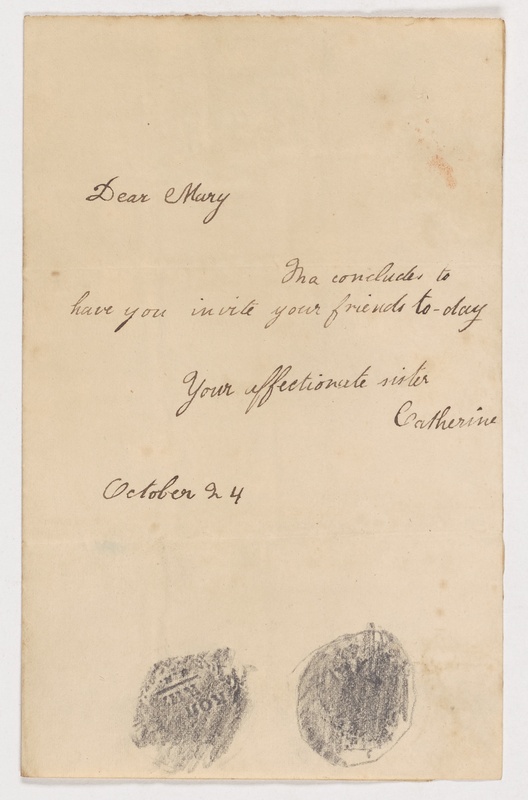 The letter seems to be a practice by young sisters at the language of formal invitations. 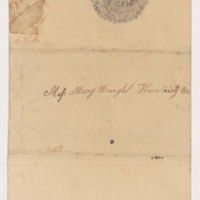 The letter does not appear to have gone through the post office, but is decorated (postage paid?) with pencil rubbings of coins. 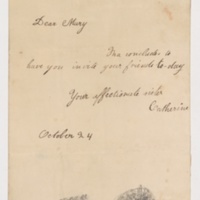 Catherine Huntington, “Catherine Huntington to Mary Huntington, Oct 24 [1828? ],” Global Valley, accessed April 23, 2019, https://www.ats.amherst.edu/globalvalley/items/show/229.